Hip pain, sacroiliac (SI) joint and low back pain can be intrinsically related. Previously, I had blogged about distinguishing hip pain from true sacroiliac pain. In light of an increasing number of people going under the knife to fuse their SI joints with the sacroiliac implant iFuse® (an estimated 5,000 people in the United States in 2013), I want to revisit the topic. I want to try to answer the question when SI fusions are warranted and what patients should know. First of all, allowing your doctor to fuse your SI joints is a big decision. The fusion means taking movement out of the SI joints and changing the biomechanics of the pelvis forever. That sentence right there should discourage anyone, doctors and patients, from making a decision about fusion hastily and lightly. I know all too well that pain can make you almost desperate, but making poor decisions in regards to irreversible events can be worse than your initial pain. So how should patients proceed and educate themselves in regards to the topic of sacroiliac pain? The decision to fuse SI joints should be made only after hip pathology and lumbar spine pathology has been ruled out – and there is sufficient clinical indication that the SI joints are the origin of the pain. In a 2007 study, 52% of hip impingement patients (301 hips) complained of deep buttock pain and 23% of sacroiliac pain (1). A more recent study showed that out of patients who were seen for sacroiliac pain 76% had at least one abnormality on their hip x-ray (2). Do you see where I am going with this? Things aren’t always what they seem to be. Pain isn’t always coming from what appears to be its source. Let’s start with hip pain. If you have pain that appears to be located in the sacroiliac joints or low back (depending on your subjective definition and what doctors tell you), you should have your hips checked for impingement or other hip pathology. Go to an orthopedic hip surgeon specialized in femoroacetabular impingement (hip impingement, FAI). Depending on the results you may have to pay a visit at other hip specialists, such as doctors specializing in hip dysplasia. It is very important that you see a hip doctor who is truly specialized (someone who focuses on hip replacements probably wouldn’t be the right choice at this stage in the process). In my blog post ‘Why You Need anFAI Surgeon Who’s Specialized in Hip Impingement: All Orthopedic Surgeons AreNot Equal’, you can read more about why. 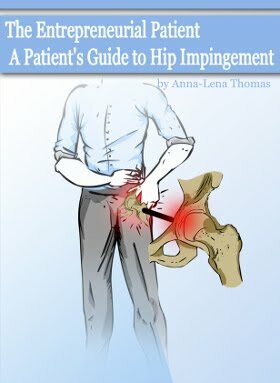 In my book, ‘The Entrepreneurial Patient: A Patient’s Guide to HipImpingement’ you can read lists of questions to ask specialists and much more about the diagnostic process and what you need to know to make sure you are getting the right tests and a truly qualified doctor to diagnose hip impingement. So, now that you have been to the FAI specialist your next step depends on what the specialist says. If he/she says you show signs of FAI or other hip pathology, such as dysplasia or femoral retroversion, you should definitely have a diagnostic injection to determine if your pain is coming from the hip (more on such injections and what options you have in ‘A Patient’s Guide to Hip Impingement’). Now, just because you still have pain in the buttocks after a hip injection still doesn’t mean that the buttock pain is due to pelvic instability. Muscle pain in the buttock from muscle imbalances caused by labral tears and hip pathology can also cause buttock pain. If the FAI doctor says you do not have hip impingement, where do you go from here? The next step would be to rule out spinal pathologies (and I just assume all conservative measures have already been tried). The spinal nerves can cause pain characterized by many more symptoms than just sciatic pain, which is often what is first looked at. This is when I get to the utter importance of understanding the questionable diagnostic ability of the commonly performed diagnostic/therapeutic SI joint injection. It would seem plausible that by now at least one doctor has suggested an SI joint injection. After all, such injections are considered the gold standard of diagnosing SI pain. I know that I have previously written, both in my book and in previous blog posts, that an SI joint injection can help determining if pain is coming from the SI joints themselves. Now is when I get to correct myself. Yes, steroid injections of the SI joints can help if a serious inflammatory condition such as ankylosing spondylitis is present. The steroid is a potent anti-inflammatory substance. The numbing medication, anesthetic, that is often injected at the same time as the steroid works as a diagnostic. Here comes the BUT; a ‘positive’ (providing pain relief) SI joint injection alone should NOT be a determining clinical factor when deciding on an operation to fuse your SI joints. Why you might ask. Look at this study from 2006 from the Department of Rheumatology and Orthopedics in Nantes, France! The researchers say that several arguments cast doubt on the validity of SI joint injections (anesthetic) as the diagnostic gold standard (3). I would have to agree. First of all, the anesthetic does not stay in the joint space between the ligaments connecting the sacrum and the ilium. It leaks. In 61% (!) of the studied cases the anesthetic diffuses out of the joint the therefore does not isolate one area of pain. The numbing medication bathes the sheaths of the close-by nerve trunks or roots, including the lumbosacral trunk (which may contribute to pain in the groin or the thigh) and the L5 and SI nerve roots (3). Second, only in 60% (!) of the studied cases the effect of two consecutive injections are identical. That means that in 40% of patients the second injection did not have the same effect as the first injection (3). If there is a chronic problem you would hope that a diagnostic injection would should the same result every time it is performed. Otherwise it is easy to believe that maybe the problem isn’t what it appeared to be from the beginning or that the diagnostic isn’t reliable. The fact that the study only used anesthetic and not a combination of steroid and anesthetic also eliminates the argument that might otherwise have been made; that steroid, anecdotally, does not appear to work in all people (I have no scientific evidence to back it up) or that maybe the inflammation was not severe enough. So let’s look at what the SI joint injection might tell you. If the injection relieves a lot of your pain in the buttocks you only know that the pain was the relieved, but the source of the pain cannot be reliable pinpointed. From a positive SI joint injection alone, you absolutely do not know that fusing your SI joints is going to help you. If the SI joint injection relieves pain in the groin, maybe the anesthetic leaked and numbed lumbosacral nerve roots. The point here is that there is not enough specificity in the results of an SI joint injection. That leads us to the next topic. There is a relationship between hips, pelvis bones and the spine. You need some methodical clinicians to help you rule in or out different pathologies. And, YOU have to do your homework. Don’t blindly trust what you are told. Also don’t underestimate the value of skilled physical therapists (PTs). There are great PTs and there are meh PTs. If your PT spends 5 minutes with you and puts you on some random exercise equipment, chances are you are not going to get better and your PT isn’t going to figure anything out. Now back to the topic of SI fusions. When are they ever warranted? When everything else has been ruled out (hip and spine pathology, rheumatologic conditions…), when skilled PT doesn’t help at all, when no conservative treatments are effective and/or tolerable and when there is clinical indication that the pelvis is truly unstable. Pain relief from a proper SI belt may point in that direction. In Sweden, there is a medical doctor who has specialized in sacroiliac joint research, Bengt Sturesson. He talks about how it is nowadays possible to measure movement of the sacroiliac joints but it is not something that is easily done by just any doctor. 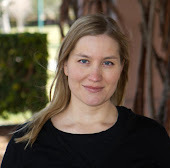 You need the right equipment and the right mathematical models. Before performing a permanent SI fusion, Dr. Sturessons operates to install a pelvis-stabilizing frame used for pelvis fractures to determine if a patient is indeed a candidate for the fusion. In summary, do PT (great PT), check out your hips, check out your spine, run labs for all inflammatory conditions and then go down the route of the SI joint if all else fails. Unfortunately, some hip impingement patients find out only after they have fused their SI joints that these joints were not the cause of their pain. My intent is not to offend anyone who has had a fusion or considers a fusion. But if my little blog can prevent at least one unnecessary SI fusion (because fusions have consequences) or help patients to not leave any stones unturned, my mission was accomplished. (1) Clinical presentation of femoroacetabular impingement. Philippon, Marc J., et al., et al. 2007, Knee Surgery Sports Traumatolog. Arthroscopy, Vol. 15, pp. 1041-1047. (2) Symptomatic sacroiliac joint disease and radiographic evidence of femoroacetabular impingement. Morgan PM, Anderson AW, Swiontkowski MF. Hip Int. 2013 Feb 12:0. (3) Joint Bone Spine, 2006, Jan 73(1):17-23. Provocative sacroiliac joint maneuvers and sacroiliac joint block are unreliable for diagnosing sacroiliac joint pain. Berthelot JM, Labat JJ, Le Goff B, Gouin F, Maugars Y.
SIJD causes problems to hips and lumbar spine. Also to knees and upper spine. Sure I do. The whole starting point of the text is to understand when there is actually sacroiliac joint dysfunction, SIJD, and when other pathologies are causing symptoms.But I guess my take is to rule everything else out since the diagnostic tests for SIJD available to most MDs are not reliable. I am not saying that SIJD, doesn't exist. My purpose was merely to caution patients to get their SI joints fused without a proper workup and as an absolute last resort. I am definitely not an expert in SIJD. Therefore, I'm not going to go through the ins and outs of testing. I don't think there is just one opinion and/or approach in regards to testing for and treating SIJD anyway. I thought I had sijd for almost 20 years. I had a fai orthroscope a year ago. I have not had si pain since. When I was at my worst I was think about si fusion. I eventually found the right doctor. My husband had a laminectomy 6 years ago, then scar tissue and spinal cord stimulator implant. In 2012 he had two minimally invasive hip replacements. The report showed avascular necrosis of both hips. Maybe that is not uncommon. In January this year he started to have terrible buttocks pain and leg pain. PT and injections did not help. he sits on solid ice packs at work all day and must lay flat at home. He says his testicals now hurt and crotch area hurt as well. He is seeing a back surgeon next week to see is disc herniation is the problem. Seems like sacroiliac joint could be a problem. Do you address anything in your articles like what he has experienced?